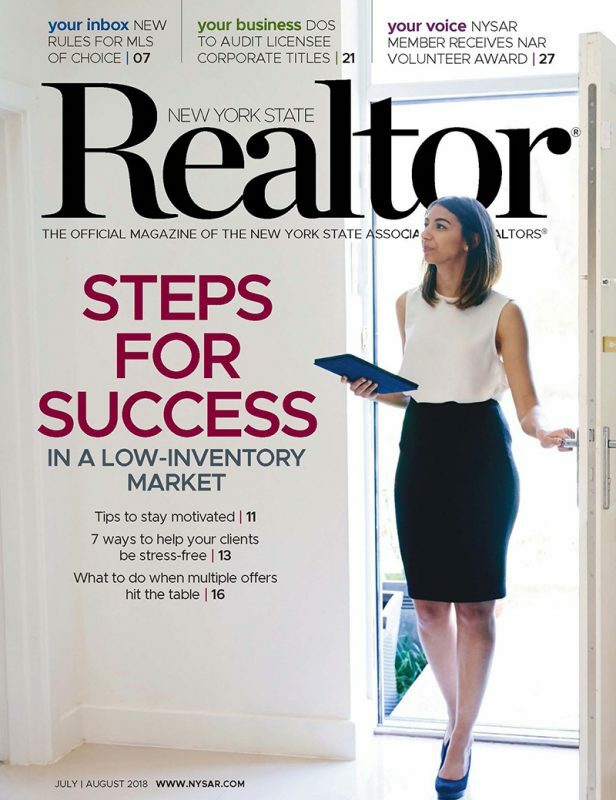 Dr. Yelena Zack, chief of psychiatry for Samaritan Hospital, wrote an article for the July/August issue of New York State Realtor, the official magazine of the New York State Association of REALTORS. In the article, Dr. Zack discussed how the process of buying and selling a home is one of life’s top five most stressful events, ranking up alongside the death of a loved one, divorce, job loss, or a major illness or injury. She provided some tips for REALTORs to help their clients manage the stress of the home buying process, and how best to be an empathetic listener. Research shows there is truth in the power of positive thinking. Taking just five minutes a day to think about what you’re grateful for has a tremendous impact on your health, productivity, and stress levels. Positive thinking doesn’t mean you are choosing to ignore unpleasant situations or outcomes. Rather, positive thinking means you approach unpleasantness in a more positive and productive way. Encourage your client to identify their “self-talk,” which is the stream of unspoken thoughts that runs through all of our heads. This “self-talk” can be positive or negative. By being aware of these thoughts and choosing to focus on the positive, you are empowering yourself to think the best is going to happen, not the worst. This technique is key to developing the inner control to manage factors out of your control, which ultimately reduces your stress.